The original state of the home was nightmarish, with rotten walls, shockingly drab floors, overpowering clutter and squalid living conditions. 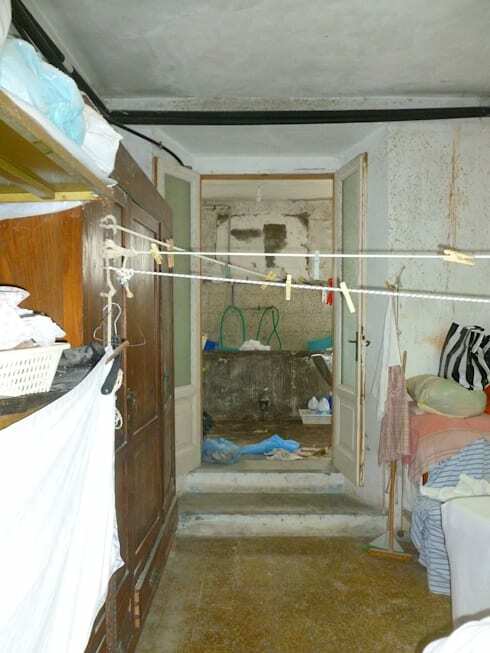 The laundry area was a place where no-one would want to venture in their right mind. 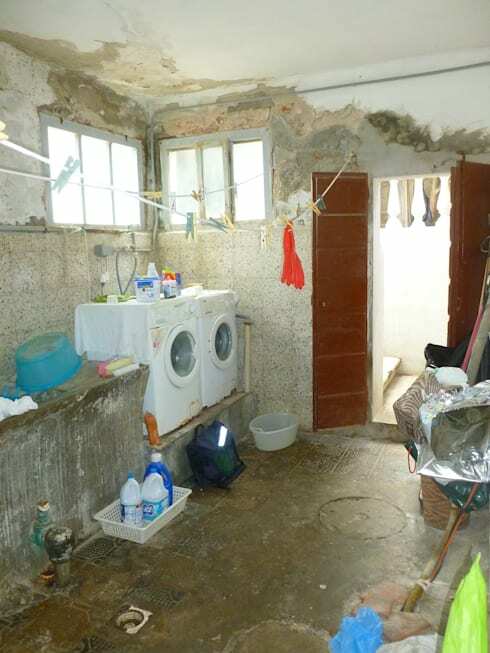 Viewed from another angle, the laundry room looked claustrophobic and unhygienic. It was a dumping ground for anything and everything, and the walls looked ready to crumble to dust. 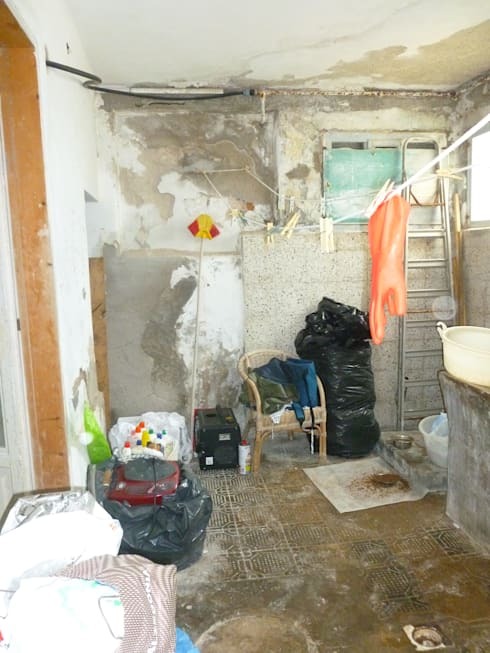 The home was literally a mess, with damp seeping through its walls and ceiling, making it a very unhealthy living space. Lines for hanging clothes, old and shabby furniture, piles of dirty linen, and odds and ends crowded out any scope for stylish living. 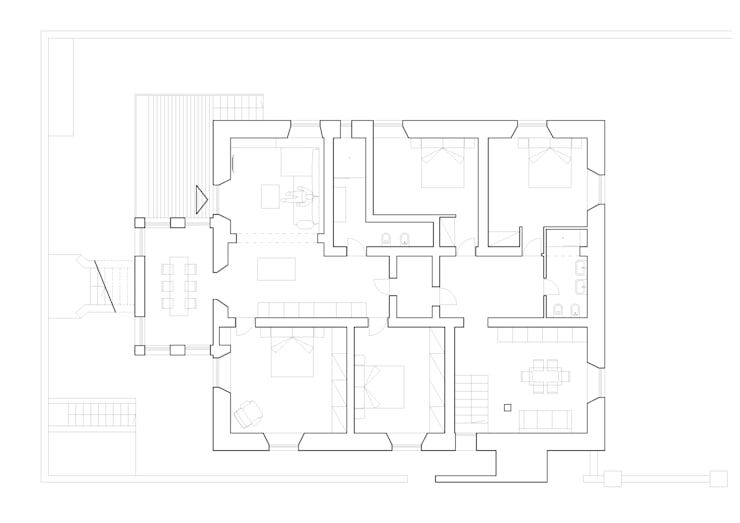 The new floor plan designed by the architects came in like a beacon of hope, with four rooms, a kitchen, two bathrooms and a terrace. Everything seemed to be in place and all set for modern aesthetics to make a glorious entry. Elegant in pure white, the kitchen is now finally a sleek and fashionable place for cooking yummy meals. It is spacious, trendy and stylish with a smooth arch that delicately separates it from the rest of the home. The vibrant wrought iron stools beside the kitchen island look sensational against the white décor and add a hint of quirk to the setting. 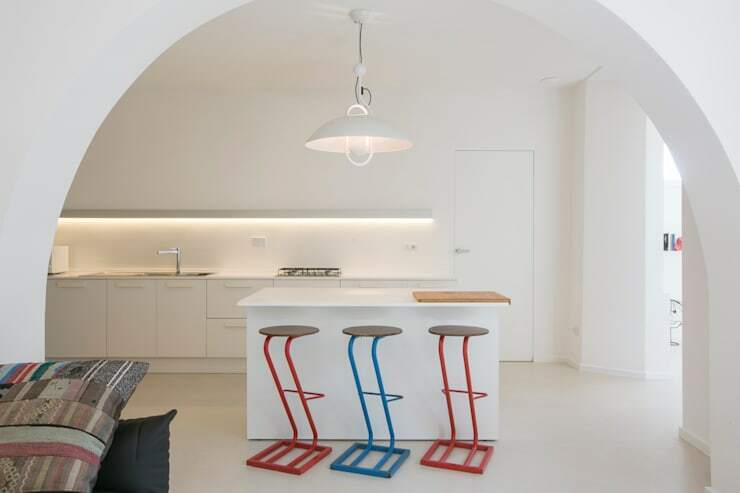 The chic kitchen arch leads to a bright and fresh living area, with a sleek and simple layout. The plush seating in dark grey contrasts the whiteness of the space, while knick-knacks line the slim ledge hugging the walls. The wall decor inspired by film strips is again a quirky touch that brings the living room alive along with the colourful patterned cushions. 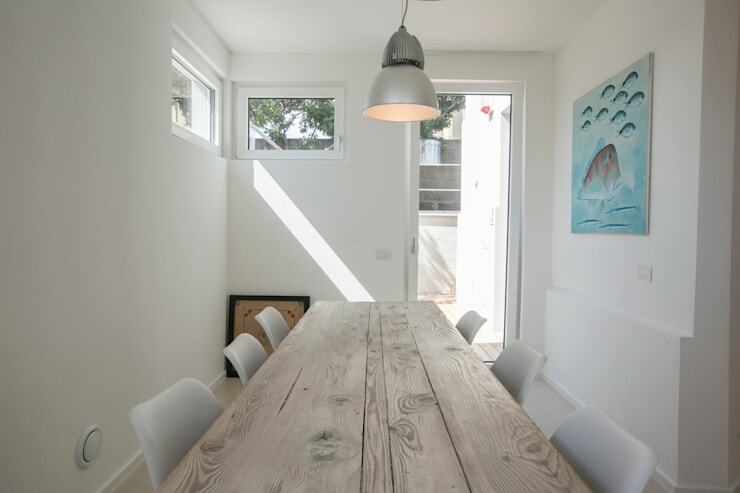 The narrow space here has been cleverly utilised with a sleek wooden dining table and minimalistic chairs. The dining area boasts natural sunlight flooding through the glass doors and windows, while a trendy pendant lamp casts a soothing glow in the evenings. The design is neat, minimalistic and very homely, and the peppy artwork stands out in the middle of all the whiteness beautifully. The sleek and modern design of the bathroom is very impressive, and the use of soft colours and clear glass for the shower enclosure adds openness to this space. 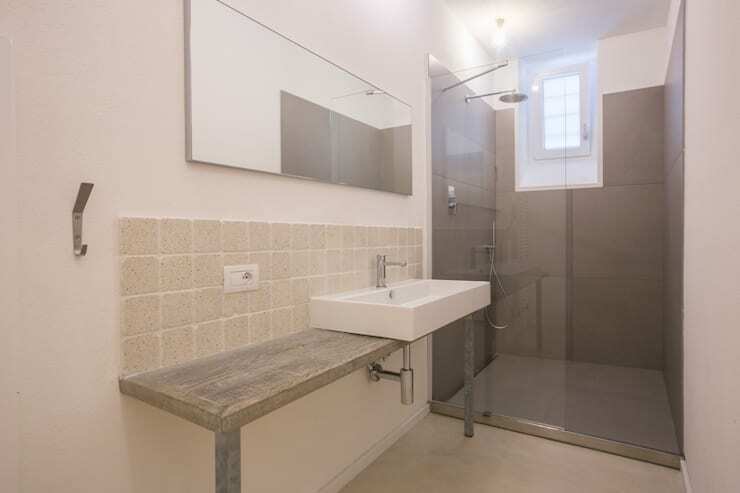 The slim countertop and modish fixtures along with the smart mirror make this bathroom perfect for daily rejuvenation. 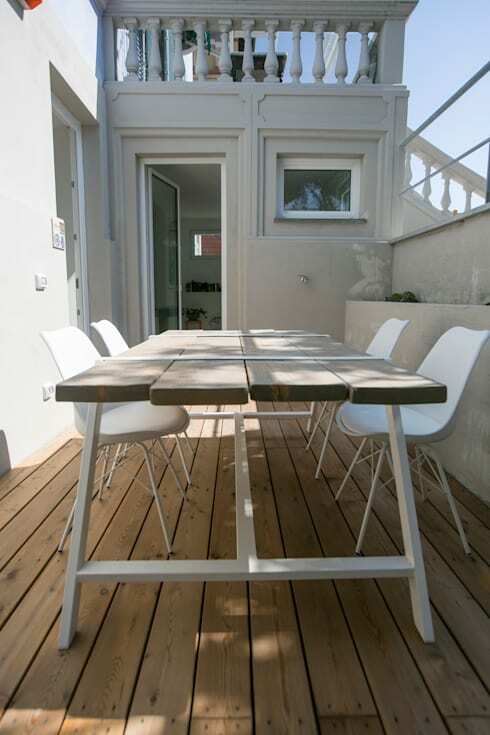 The sunny and airy terrace is charmingly lined with slim wooden planks for a warm, welcoming appeal. This multipurpose table is great for enjoying meals with the family, entertaining guests or simply relishing outdoor views. The overall atmosphere is simple and relaxing. Blown away by the incredible makeover of this once shoddy home? We are too! Here’s another transformation story to inspire you further: The dazzling transformation of an empty home. 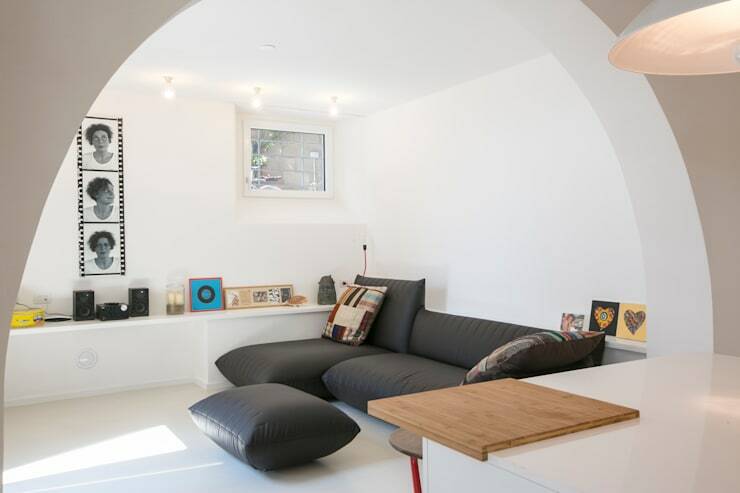 What do you think of this incredible home transformation?